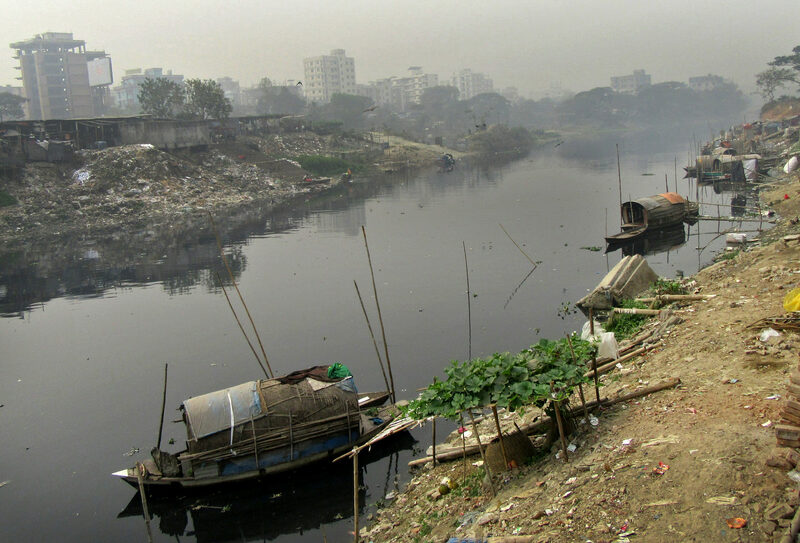 REACH and the Urban Sanitation Research Initiative (led by Water & Sanitation for the Urban Poor, WSUP) have jointly launched a research call, with up to £80,000 for a 12-months project to explore citizen and decision-maker attitudes to freshwater pollution in Bangladeshi cities. Bangladesh has over 200 rivers which a large part of the country’s 160 million people depend on for livelihood and transportation needs. Yet, pollution of those freshwater systems due to municipal wastewater, faecal waste and industrial discharges is a major issue, responsible for many premature deaths and serious illnesses, especially to women and children. Bangladesh has laws to protect the environment and river pollution in particular, but those are weakly enforced. Developing ‘smart regulation’ will therefore require an understanding of social and political attitudes towards urban freshwater pollution, so that regulatory authorities can work towards a regulatory model that is effective and politically viable. To address this challenge, REACH and the Urban Sanitation Research Initiative are co-commissioning a study to investigate citizen and decision-maker attitudes to pollution of watercourses in urban environments in Bangladesh, as well as attitudes towards associated regulations. The researcher will be required to consider both faecal contamination and industrial discharges, in Dhaka or a sub-division of Dhaka. The project will be managed by the WSUP-led Urban Sanitation Research Initiative team with single point of contact, but should aim to align with the broad vision and specific requirements of both research programmes. This study will be closely aligned with REACH research carried in our water security for an urban river Observatory, in Dhaka, where we are assessing the water quality risks and their impacts on human health, as well as exploring the linkages between industrial growth, poverty reduction and water security. The research aims to support the government of Bangladesh’s ambition for industrial growth, whilst minimizing environmental damage and public health impacts, particularly for the poor. The deadline for submitting the bid is 13 March 2018 at 5PM GMT. You can find further information about the research aims, bid requirements and bidding process here.